Parents and guardians of students and employees of Prince William County Public Schools are automatically enrolled in the PWCS Notification service for phone, text, and email messages. 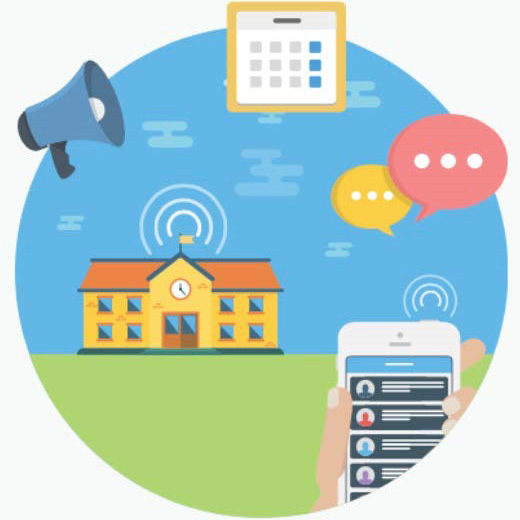 PWCS central office and schools use this system to communicate delayed opening and school closing information, emergency messages, and to send attendance, lunch account balance, and school-based outreach messages. Messages are delivered using basic contact information provided by parents through Parent Portal and Emergency Cards. Customize your notification preferences. Important tip for users with TTY: phone messages from PWCS can be placed on hold for up to two minutes by pressing the # key. To then play the message, press the * key. On the My PWCS Mobile App and web. "Messages" gives families a new way to 1) view and listen to messages sent from PWCS, your school, and teachers; 2) participate in one or more teacher driven classroom group discussions 3) join invitation-only groups for clubs/sports; and 3) customize how you receive messages from the school or district. Parents and students can click "Messages" from the My PWCS mobile app to connect with classroom or activity groups they are members of. 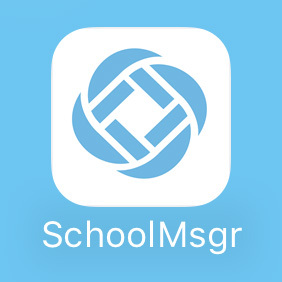 Those who prefer web access can connect from go.schoolmessenger.com. News and event feeds on the mobile app provide customized information about the district and your schools. Links to bus schedules, menus, and more give you access to the most sought after information. Push notifications keep you alert to breaking news such as weather closings while the message center keeps your broadcast emails in one convenient location. Wondering where the bus is? Now you'll know. See real-time map locations for your student's buses. Get push-notifications when the bus gets close by. Get everyone to the stop at the right time, every time. Available by link from the My PWCS mobile app, as a standalone app, or from the web. Through Parent Portal parents, guardians, and students may view student grades, schedules, attendance, immunization records, and update contact information. Available as a link from the My PWCS app or on the web. Learn more about Parent Portal. SLMS is a Learning Management System that teachers may use to communicate to students about day-to-day classwork, assignments, and homework. Parents can view their children's homework by going to their school website and finding their teacher's public page and homework calendar, logging in to SLMS, or by subscribing to an iCal feed on their iOS device, Android device, or Google Calendar. Login as a Parent or Guardian is from school web page or the mobile app using your Parent Portal username and password. Students and Teachers must log in from their school web page using a PC or tablet with their PWCS credentials. Microsoft Office 365 provides the ability for PWCS students and staff to communicate, store files and collaborate on in real time from school, work, or home, all within a secure online environment. All students in grades 3-5 are issued PWCS email accounts for school use. Students are allowed five downloads of Microsoft Office for the devices that they use for school work. The District websites offers the latest news and in-depth details about PWCS. School websites provide school based information and events. Be sure to visit your school websites frequently. Websites are optimized for viewing in Chrome, Firefox, and Safari browsers. PWCS-TV, Prince William County Public Schools' dedicated television channel, can be found on Channel 18 on the Comcast Cable System and on Channel 36 in the Verizon FiOS line-up. Watch the live stream anytime from anywhere at pwcstv.com. PWCS-TV is an excellent resource for the most up-to-date information on activities, emergency announcements, events and school closings. And tune-in to watch live School Board Meetings or re-airs of the most current meeting throughout the week. Board Briefs provides a summary of school board meetings and is published twice a month. Look for it in the news section of PWCS.edu, on the My PWCS Mobile App, and in your ENews. Our weekly newsletter that makes sure you never miss a "Positively PWCS" story. The headlines from www.pwcs.edu are delivered by email in a newsletter format. Parents are automatically subscribed. Others can also subscribe to The Scoop.